and aortic valves should be performed during the echocardiographic examination. Important potential sequelae of MVP include progressive MR, potentially from progressive leaflet mal-coaptation, disintegration of chordal integrity over time, and infective endocarditis. This 66-yr-old male with myocardial infarction (MI) 1 yr previously presented with congestive cardiac failure. Fig. 7. M-mode echocardiogram of patient (Figs. 4-6) with classic mitral valve prolapse. (A) Both thickened valve leaflets show posterior displacement of the C, D segment during mid- to late systole. (B) Only the posterior leaflet is affected. Fig. 8. Mitral regurgitation in dilated ischemic cardiomyopathy. 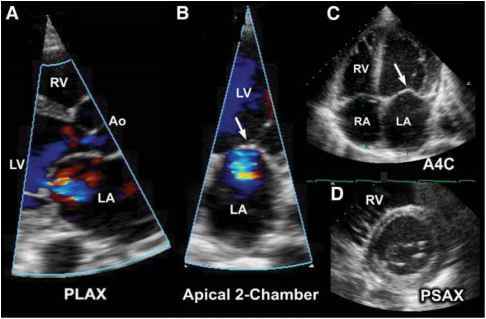 This results in apical tethering ("tenting") of mitral valve leaflets during ventricular systole (A-C), impaired leaflet coaptation, and mitral regurgitation (B). "Tenting" is best seen in C and D (arrows). This term describes closure of the mitral valve well within the left ventricular cavity rather than at the level of the mitral annular plane (C). Valve leaflet morphology is normal, but left ventricular dilation (D) leads to lateral displacement of papillary muscles (see Fig. 5). 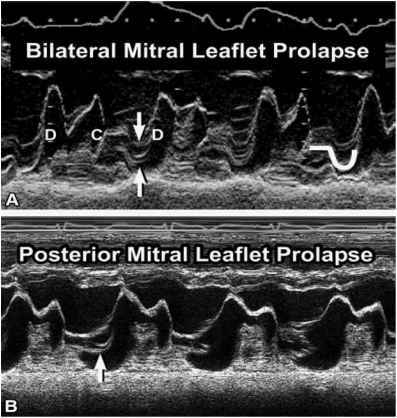 This causes leaflet malcoaptation that is typically symmetric (C), and the jet of ischemic mitral regurgitation is centrally directed (A,B). Fig. 9. The mechanism of mitral regurgitation in dilated ischemic cardiomyopathy. The three major contributors as shown prevent normal leaflet coaptation and functional mitral regurgitation. The mitral leaflets are morphologically normal. • Superior displacement of both3 mitral valve leaflets (> 2 mm3 above mitral annulus) with coaptation point at or above the mitral annular plane. "Strict criteria for classical MVP or "floppy mitral valve." The images (Figs. 8 and 9) show MR that result from left ventricular remodeling and dilatation. 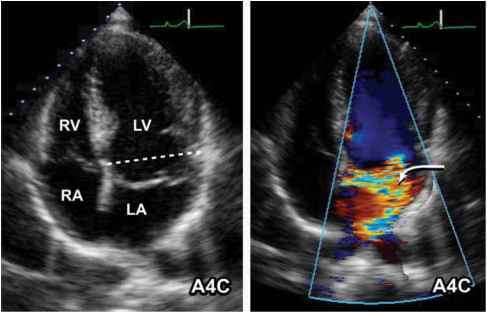 Such changes to LV geometry significantly change the spatial relationships between mitral leaflets, papillary muscles, and chordae tendinae. In this example, lateral displacement of the papillary muscles and chordae lead to poor leaflet coaptation and MR from LA dilatation. The resulting MR is centrally directed. A 44-yr-old man complained of increasing shortness of breath and was found to have a murmur consistent with MR (Fig. 10; please see companion DVD for corresponding video). These echocardiographic images illustrate how complete or partial flail of one or both mitral leaflets can lead to moderate to severe MR. Partial leaflet flail most commonly involves the posterior leaflet and is usually secondary to chordal rupture. The resultant MR may be severe, and the jet is typically directed anteriorly. Conversely, an anterior leaflet flail usually results in a posteriorly directed jet of regurgitation (see Chapter 7, Fig. 7). Papillary muscle rupture in the setting of acute MI can present with acute severe regurgitation within the first 5 days post-MI. It more commonly involves dehiscence of the tip or a head of the muscle, and less commonly, complete transection (Fig. 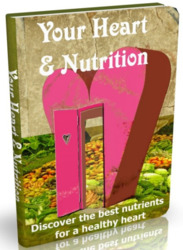 11; please see companion DVD for corresponding video). In particular, the postero-medial papillary muscle is more susceptible to injury during infarction as its blood supply is derived almost solely from the posterior descending branch of the right coronary artery. The antero-lateral papillary muscle and those of the right ventricle have a dual blood supplies. Different degrees of MR may result from ischemic dysfunction of the papillary muscles and supporting ventricular wall. 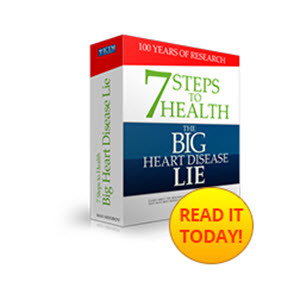 This is seen in approx 30% of patients with coronary artery disease being considered for cardiac surgery. Another example of disruption of mitral valve architecture is seen with degenerative mitral valve disease. For example, with mitral annular calcification, which can be seen with older patients, the excursion of the mitral leaflets can be limited, affecting leaflet coaptation. This also results in MR.